Research In Motion (RIM) recently introduced the BlackBerry 9780 as the latest series of BlackBerry Bold family. With a premium design and charming, and equipped with features keyboard and optical trackpad which is very easy to use, the BlackBerry Bold 9780 is becoming more elegant with features of advanced communication and multimedia. This BlackBerry will be the first on the BlackBerry Bold series running on the latest BlackBerry 6 operating system. New features available in the latest series of this BlackBerry includes a new interface, WebKit-based browser is fast and tough, and multimedia communication capabilities further enhanced, a universal search feature and also a high quality 5MP camera. This series already supports 3G networks, including Wi-Fi ® with support for mobile phone operators to make telephone calls with WiFi (UMA depending on availability) and GPS features to the application pointer location and geo-tagging. 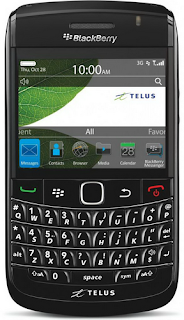 The camera of this BlackBerry is equipped with auto focus, scene modes, image stabilization, flash and video recording. It also included 512 MB of Flash memory and a memory card slot can be upgraded to 32 GB. BlackBerry Bold 9780 will be available through various operators around the world in early November. I'm not much of phone person, but I do know there are those who love the Blackberry. They began with Blackberry when it first came out and have stayed with it. Probably because the Blackberry have complete feature and look luxurious when used. I guess blackberry is also synonymous with business? I did not like mine, like when the VCR came out first until it disappeared I never used all its features but the basic. Who really uses all the updated features on electronics? Everyone's needs would vary, there are probably really need the latest features of the product and some are just simply to follow the development of a new product, and that certainly everyone will never be satisfied with what they already have now. Therefore, if there is a new version comes out, they certainly will try to replace the old with the new version, although the features of the old version is not much different with the new version, and most who did this are teenagers. My friend has a Blackberry and she loves it! I have a very old phone but it works:) Thanks for dropping by Crafted By Hands Blog too:) Did you get that link on the guy gallery?